Starting from 2000s and later where Windows Mobile was the flagship Mobile OS for Smartphones and PDAs, It began with Windows Mobile 1.0 and kept going on till 6.5, suddenly after Microsoft realized that it is losing the battle of mobile phone software market (thanks to Google’s android) there came the drastic change. The next version of flagship Mobile OS was now named Windows Phone and it was not the only change that Microsoft did. Windows Phone sounds to be made perfect, and it is being advertised well. It does have something unique in itself and is a lot different than the competitors but still it is not doing well, we will take a look on the facts which are being a bottleneck and are the main reasons it is still 3rd ranked OS in mobile Phone industries. There is a point worth noting, Windows Phone is stable, quick and unique. All the components are designed from such a noble idea. You power up your phone and you are greeted with a Start Screen, displaying all the information consistently, showing all your important notifications, just about everything you need to take care of is right there. Then we jump to apps, all good apps (created especially for Windows Phone using Metro Design Language) have a kind of familiarity. It is so simple that you can predict what this or that swipe will do. The settings app is very simplified, even after offering many types of customizations it does not look cluttered at all. Most of Microsoft app can be configured from here. You can make system wide changes etc. I am not personally a fan of digital assistants. 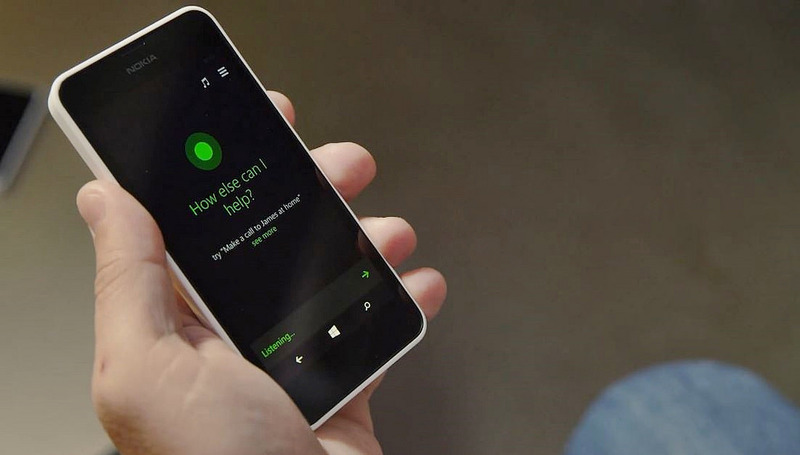 Still if I am asked to choose from Apple Siri or Microsoft Cortana, I will bet for Microsoft girl. It is fun to use, the sound seems more natural than Siri. In the virtual assistant field Goggle Now should not even be counted, or I should say Google Now is man of a few words. Cortana is sharp crisp responsive and gets the job done. For an instance my friend Shivam is a Windows Phone user (I sometimes wonder why) and I see him getting frustrated some times. He owns a Lumia phone running Windows Phone 8.1 and I use Android Kitkat phone. On android I can use download managers to download large files and on Windows phone you just can’t. For a more illustrative example if you are using UC Browser (one of the best for Windows Phone) the download is paused if you jump to any other app and only resumes when you open UC browser again. Not just that, native Facebook messenger lets you use chat heads on android phones, it means you can chat while using other apps, if you are a Windows Phone user there is no possible way you can get that. Windows for desktop i.e. Windows 7, 8.1 are so much full featured and are so customizable. You can do almost everything you imagine in desktop OS, but that is not in the case of Windows Phone. Android and iOS have the advantage here. Let us just see why is that, iOS was the solo hero upon its arrival so developers took it as an opportunity, in case of android, developers jumped on that because they knew that it is going to be famous. After these two monster OS there was very little space left. Developer who has a choice to create and sell an app would always go with a platform which is widely used so that he can maximize his earnings and because of that heroines of the show are always Android and iOS. Basically and frankly speaking most experienced android user can’t switch to Windows due to its limitations and most importantly lack of apps. Take our example I use Slack –an team messengering service it is available for Android, iOS even as a native client for Windows but not for Windows Phone. Also taking about other apps you won’t find any great web browser (other than Internet Explorer). You will be left with most of the Microsoft made software. If you are a regular computer user and you see Start button 5 or more hours every day, an installation serene every other week and Registry editor once in a month, strong chances are that you may not find Windows Phone a pleasant experience. A windows 7 or 8 user will feel more like home on android not on windows Phone. I personally think it is ironic that Microsoft Windows for Desktop is popular because of its huge software library and Windows Phone is suffering from lack of apps. Is Microsoft doing anything about it? The answer is not so clear, previously it was rumored that Microsoft may do something to run android apps on Windows Phone –if that happened that would change the fortune of Windows Phone. Microsoft is focusing on Mobile devices more than ever before. It has been releasing a lot of apps for android and even iOS. Recent Lumia Denim update also bought an android like swappable drop down notification menu in windows Phones. Recently Microsoft was found making Flash ROMs to install Windows 10 on android powered Xiomi phones, however after some inquiry, Microsoft cleared that it was only for selected customers. And at last Microsoft Is doing really hard work in making Windows as SaaS (Software as a service) and after the public release of windows 10 and Windows 10 phone some great things may happen. What do you think about Windows Phone? Do you own one or you just stay away with it? Do tell us that in your comments. Image Credits: Kārlis Dambrāns on Flickr, Bhupinder Nayyar on Flickr.